If you listen to my podcast you’ll know that I’ve been working on The Pinch for a long while. Hopefully you’ve found my journey with this film informative and inspiring. Finally, I am now ready to release it to the world. There are a couple of purchase options: 30 day rental or digital download. 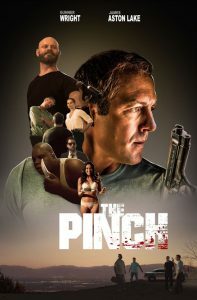 I’m also including as an option the three hour webinar, “The Making of The Pinch” which covers ever aspect of the process, from writing the screenplay right through post-production. You can learn more about the webinar by clicking here. Log line: When a low level mobster is nearly rubbed out by the boss, he decides to take the bonus he was promised by force, so he kidnaps the boss and demands a hefty ransom. Goodfellas meets Misery. Festivals: DaVinci International Film Festival, Action on Film Festival.